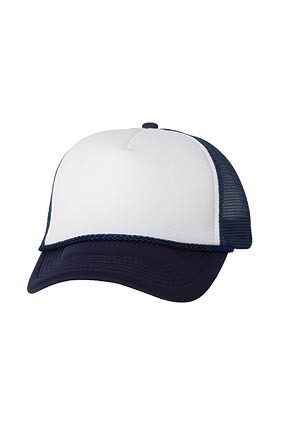 100% polyester foam trucker cap. Foam front, mesh back. Structured. Mid-profile, 3½" crown. Five-panel with braid. Double plastic tab closure.